* Prices include Cover, GST, and are valid until 30/11/2019. 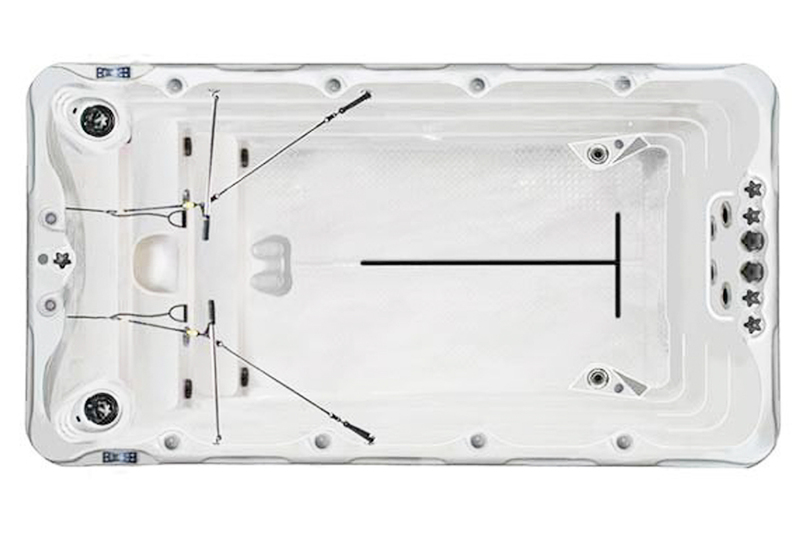 Passion Spas is the only Swim Spa manufacturer in the world to offer Current-Lift Technology, enabling the swimmer to remain prone on the water surface at any degree of current intensity. The Fitness Collection of Swim Spas is designed to provide an authentic swimming experience that adjusts to the intensity of your workout. 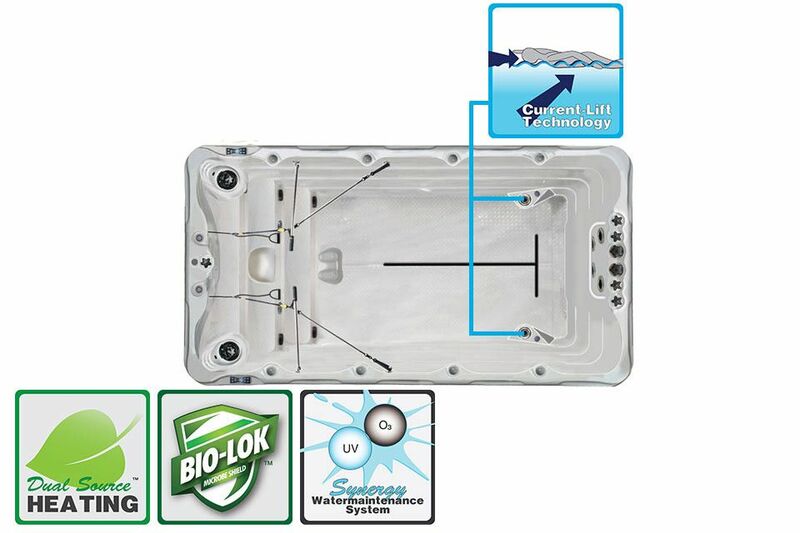 Our innovative Current-Lift technology was developed by Passion Spas and automatically adjusts the water current to the intensity of your workout. As you decrease the force of the upper two swim jets, the lower swim jets automatically increase in intensity, creating more â€œlift,â€� providing more buoyancy as your swimming speed decreases. The faster you swim, the less lift is needed from the lower jets and the flow is directed to the upper jets for a stronger current. 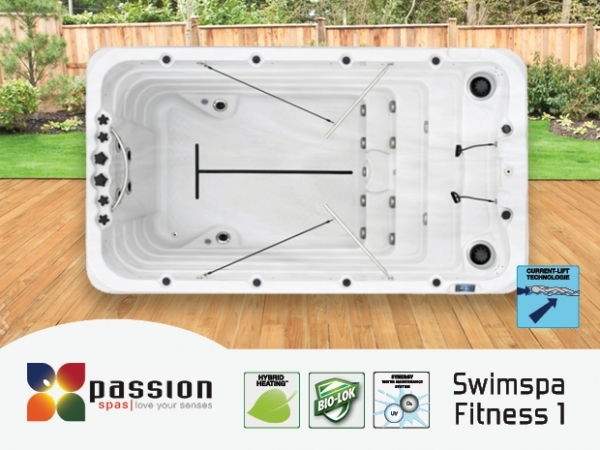 Swim Spas in the Fitness Collection also include Rowing Gear, Access Step and Synergy Water Maintenance System as standard features. Kiwi owned and operated - Get a delivery quote today!